I needed to see the dependencies between the ant tasks in our project. 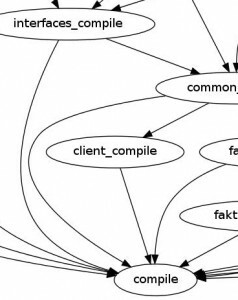 I first came across this older page with different tools for creating a graph of the dependencies, but unfortunately, the tools mentioned here do not seem to be developed any more. But then I found this great groovy script embedded as an ant target. I downloaded groovy, and separated the taskdef from the groovy script, in order to place the groovy libraries where I wanted. 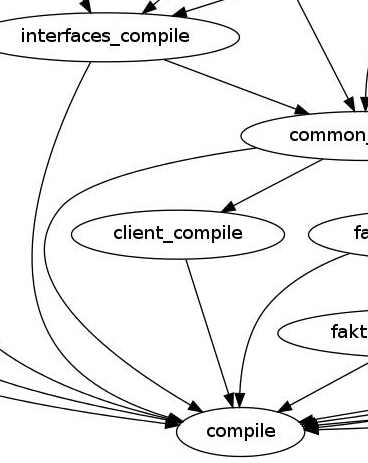 GraphViz was installed in no time (from ubuntu APT), and the resulting graph is quite good! This entry was posted in Programming and tagged tech by heidi. Bookmark the permalink.